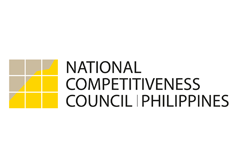 Dear Friends,Before the year comes to a close, on behalf of the National Competitiveness Council, let me greet you Season’s Greetings and give you this brief report of the past year. As you know, we track the country’s performance across a range of global competitiveness indices to see how we stack up against other economies. Our performance this year indicated continuous improvement across most indices, though not all. Our five-year performance also shows significant improvements across most of the global reports we track. Central to our strategy to improve the country’s competitiveness is a range of projects focused on several aspects : process improvement, local governments, institutional capacity-building, sectors, regulatory reforms, and customer-orientation. In the area of process improvement, projects like our Ease of Doing Business Task Force work with a number of agencies to smooth out business transactions with government in such areas as incorporation, land registry, obtaining permits, and other common business transactions. Our goal is to simplify and streamline these procedures and to eventually automate them so people can transact with government online. 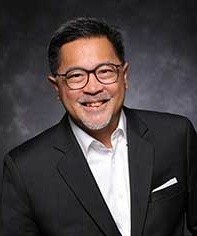 Working with new agencies such as the Department of Information Communications Technology (DICT) and others, we should see some of these new projects roll out early in the year. Related to this project, we are working with DTI, DILG, and DICT in a project known as Business Permits and Licensing Systemto streamline the process for annual renewals of local business permits, again with the objective of getting these to go online. We believe that local competitiveness is a building block of national competitiveness. In this regard, we have expanded our Cities/Municipalities Competitiveness Index to now cover almost 1,400 LGUs across the country in just four years. This index measures the performance of cities and municipalities in the areas of the economy, infrastructure, and governance. Next year, we will add a fourth criterion and set of indicators on resilience and sustainability. In the area of institutional capacity-building, we continue to expand the Performance Governance System with the Institute for Solidarity in Asia (ISA). We now work with 56 national government agencies and 52 local governments in the implementation of Balanced Scorecards for their respective organizations. More significantly, more of these agencies are beginning to get externally audited for their performance. Our newest project launched this year is focused on regulatory reform. Project Repeal aims to identify outdated rules and regulations which no longer serve their purpose or are no longer necessary (or are even detrimental) for the economy. The cooperation received from government agencies has been nothing short of overwhelming. Over 80 agencies and attached agencies have signed on and submitted almost 35,000 rules for review. After some review, 4,839 have been repealed. As we strengthen the technical working groups of each agency, we expect this pace and breadth to grow. Next steps include learning how to cost out the savings generated through a Standard Cost Model to be developed with the UK Government as well as expansion into reviewing laws in Congress and Local Government Units. Speaking of Congress, we have been busy working closely with committees in both the Senate and House to give our comments on bills amending the Corporation Code and creating a new Ease of Doing Business Act and Government Efficiency Office Act (based on Project Repeal). This provides just a quick snapshot of work at the National Competitiveness Council. We will be able to provide a look in the future at some new projects we have in store for 2017. All this work, of course, would not have been possible without the commitment and cooperation of so many people across so many agencies of national and local government, private sector organizations, regional competitiveness committees, academic institutions and multilateral and international partners such as the World Bank, International Finance Corporation (IFC), UK Embassy, USAID, Australian Embassy, New Zealand Embassy, and the European Union. To all of you, we owe you our thanks.